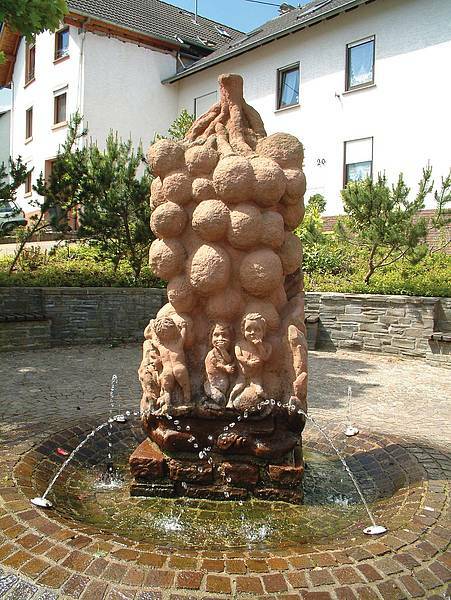 Spend a pleasant time in our quiet wine village Kinheim at the Moselle. 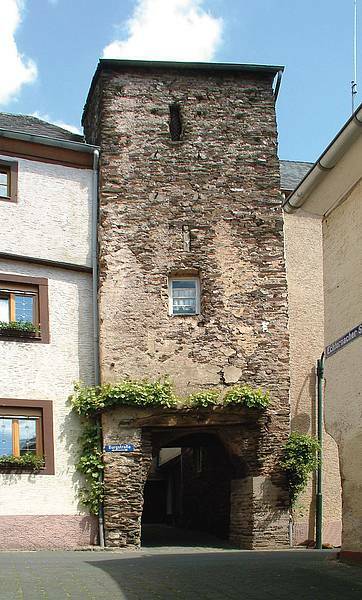 The wine village Kinheim with its two districts Kinheim-Kindel and Kinheim-height is located on the large Mosel loop, the most beautiful part of the Mosel between Traben-Trarbach and Bernkastel-Kues. 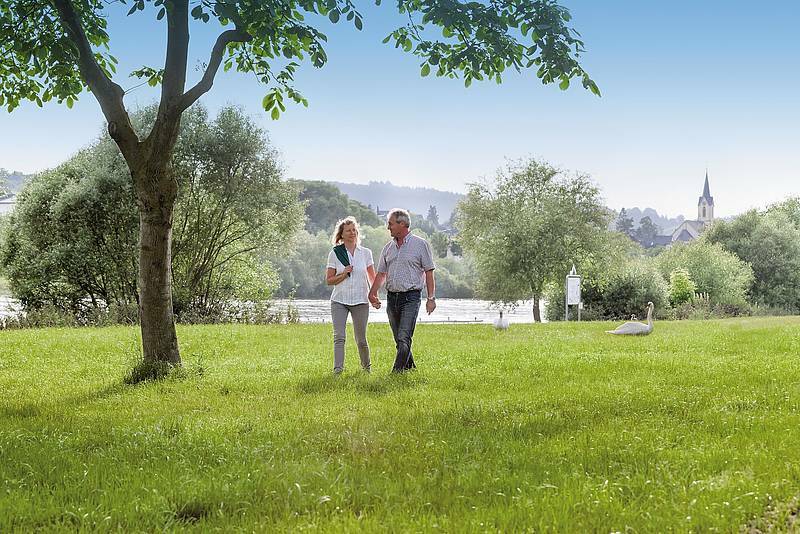 Not only wine lovers are magically attracted by this region, also hikers and campers are often welcome guests, which is why there is a large RV park, and numerous inns and hotels in Kinheim. In the actual village of Kinheim there is to admire some nice sights: narrow, winding streets; the "Kinheimer Castle" dating back to the 13th century; the 1774 built "Echternacher Hof", parish church of St. Martin which originates from the 1827, the remains of a Roman villa and a sculpture of the ancient Gallo-Roman protection of God "Sucellus" who in 1976 was discovered by archaeological excavations. On the Kinheim-height you can enjoy a stunning panoramic view over the Moselle Valley. Take the wine with you and rest for a moment! 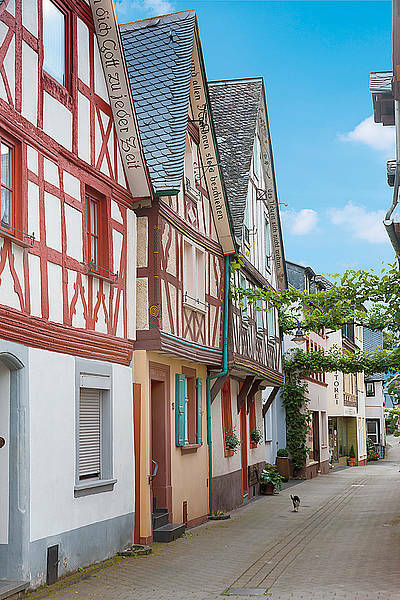 There are many different hiking possibilities around the beautiful Kinheim village which are worth a trip through the ancient cultural landscape of the Moselle valley with its world-famous vineyards, picturesque castles, volcanic craters and interesting wine villages. Whether on foot, by bike or by boat, you can enjoy perhaps the most beautiful part of the Mosel, with a pleasant mild climate, in which the fine Moselle wine thrives. 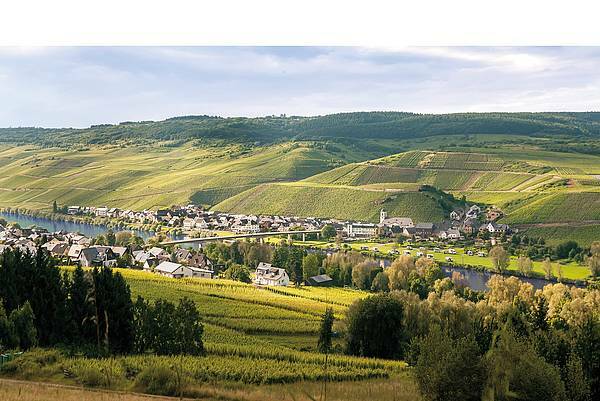 Enjoy the spring bloom in the Moselle valley or the golden autumn with its colorful vineyards. Visit our numerous Mosel wine festivals or Christmas markets. On outdooractive you`ll find a selection of beautiful hiking tours of varying difficulty level and length.